I know you've had a fair few responses, but as a die hard McCartney fan, I feel obligated to answer. I would honestly suggest listening to all of the Wings albums at least once, if only to find the excellent hidden tracks that you won't find on any compilation or live recording, such as Love in Song from Venus And Mars , I'm Carrying from London Town , Warm and Beautiful from Wings at the Speed of Sound, and Old Siam, Sir from Back To The Egg . 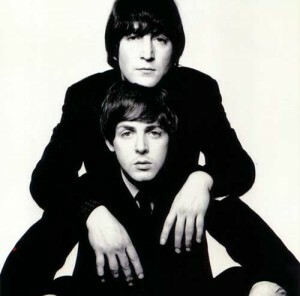 When it comes to solo McCartney, I see if you've already heard Ram and McCartney (both AMAZING). McCartney II is odd, but I find it strangely brilliant. One of These Days is beautiful, and Temporary Secretary is weird, funky, awesome. Tug Of War is one of my favorites. I have my late father's copy framed on my wall. If you're not really into him too much, I would say it is safe to skip Pipes Of Peace and Press To Play , even though I like Press To Play on the whole. Both have some good tracks, but the production is dated. If you don't like Say Say Say (I don't), then I would save these for last. For individual tracks, though, you might actually like the song Pipes Of Peace , and Footprints, Good Times Coming/Feel the Sun, and However Absurd are probably my three favorites from Press To Play . Flowers In The Dirt is the best of the 80s albums after Tug Of War . It has some really great work with Elvis Costello on it, and I would suggest at least listening to it once. You've already nixed Off The Ground (which I enjoy). If you like old rock covers, check out Run Devil Run and/or the Russian Album. I would suggest the former. It has a great, very emotional cover of No Other Baby. I also really like Movie Magg. It's a lot of fun. You can tell Paul was up and down when recording the album, which makes it special to me. Driving Rain is great, especially She's Given Up Talking, From a Lover to a Friend, Magic, and Your Way. Chaos And Creation In The Backyard is one of my favorites. I know Zig said it was boring, and I thought so at first, too. But now I love it. It's definitely an album. I wouldn't start out by listening to the individual tracks without listening to them all. They fit together in a special way that make it a sort of after work/school relaxation, introspective album. I like Memory Almost Full pretty well. It's not as good as Chaos, but Mr. Bellamy is one of my favorite songs ever. That Was Me is awesome, too. Now...for some B-sides/unreleased material: Oh Woman , Oh Why, Soily, Hi Hi Hi , The Mess, Sally G, Simple as That, Back on My Feet, Mama's Little Girl, Kicked Around No More, A Love for You, Waterspout, Cage, Tragedy (cover, but one of Paul's best vocals ever, in my opinion), Yvonne's the One, 1882, On the Wings of a Nightingale, I Wanna Come Home, and Best Love (with Steve Martin). Whew. That was a lot. Sorry. Edit: Ahhh...can't believe I left off Electric Arguments. It is a must have right beside Band On The Run and Ram . You won't regret buying it. If you like electronic stuff, Rushes is also pretty good for vegging out. Bravo, kedame. If someone wants to start collecting Macca, you've laid out a nice road map. Well done. I agree. Thanks for the well thought out response. I have a confession. I just heard Pipes Of Peace and I really like it. I remember hearing So Bad and Pipes Of Peace on the radio when I was about 13, and of course "Say, Say, Say" which is actually better than I remember it being. I think this album is definitely better than Off The Ground and Memory Almost Full . ^interesting. I think Pipes is OK, but I consider it a weak album amongst his catalog, especially when put up next to Tug Of War (from the same sessions). I've been revisiting the One Hand Clapping Wings doc from '74...some killer performances on there that arguably better the released studio versions. I haven't gotten a copy of Tug Of War yet, but that's next probably, if I can find it. I loved So Bad when i was younger but over the years those backing vocals began to grate on me so very thankful to find a stripped mix of said song. So much better. The Tug Of War LP is far superior to Pipes Of Peace , not so much the title songs tho. So Bad ruined much of 80s Paul for me. The falsetto grates on my nerves, and I always found the video too cutesy/cloying. It was all downhill from there. I love So Bad. The one song on the album that really grates on my nerves is The Other Me. I want to like it because it sounds nice, but I just can't get over the dust bin lid line. I would taken Memory Almost Full and Off The Ground over PoP any day. Dustbin lid is actually slang for kid. Still pretty bad, but I think that makes it a little better. The So Bad video is cheesy, lame and just awful. Even Ringo comes across as annoying. Whats with all the false smiling and terrible miming? A lot of all that rubbish was in the Give My Regard film, especially in the warehouse recording studio. The Other Me is dreadful but The Average Person, The Man and Keep Under Cover are also terrible. Tug of Peace is utterly pointless. Actually ive forgotten how poor this LP actually is. Give me So Bad and Pipes Of Peace and i'll swap them for Ebony and Ivory and Whats Thats Youre Doing, then add either the dance or ballad versions of No More Lonely Nights and Once Upon A Long Ago to create what would be a fine collection. Keep We All Stand together as a stand alone single and what do you know i can jump from 1982 right thru to 1989 and forget all the garbage Paul put out. Losing his collaborations with Michael Jackson can only be a good thing in my option. I know some folks love tracks from Press To Play but i find it one heck of an appalling listen. Totally agree on this...Tug Of War is a superior LP but both title tracks are pretty bad. The "Push it, pull it" backing vocal in Tug Of War is kind of lame and the video is a bit cheesy, too. Ebony and Ivory gives me bad memories of being forced to sing that song in a school assembly. I remember we kids thought the song was clueless then, but we had to grin and bear it anyway. As an adult, I was already familiar with Stevie Wonder's catalog, but now that I'm familiarizing myself with Paul's, it saddens me more that that was the best two of the most brilliant songwriters could manage together. No More Lonely Nights was another one I found annoying, particularly that very 80s guitar solo at the end. It seems to me that during the 80s, Paul grew enamored with whatever sound or technology was hot at the time, making a lot of his songs from that period extremely dated. I think he avoided that temptation with the 2000s albums, so hopefully they'll age better. Speaking of terrible videos, don't get me started on the one for Press. That was the last straw for a very long time. I agree with you on Tug of Peace--it's the weakest song on the album. Second weakest in my opinion is the closing track, which follows it. One song that still never fails to bring tears to my eyes, though, is Here Today . A finer tribute to John you could probably not write if you tried...bravo, Paul. George's "All Those Years Ago" is nice, but knowing that it was written as a song to slag John off (ala How Do You Sleep?) and that George changed the lyrics after John was killed marrs it a bit for me (plus it's not as good a song as Here Today ). One song that still never fails to bring tears to my eyes, though, is Here Today . A finer tribute to John you could probably not write if you tried...bravo, Paul. I agree. If you haven't seen it, you should seek out his performance of the song at Amoeba Records. A fan in the audience was crying, and he gets choked up but gets through it. I figured out the point of Tug of Peace, its to signpost Tug Of War and therefore the LP. Also remembered Paul had an anti-drug song in the 80's, it was briefly discussed elsewhere on the forum. In my opinion it has to be one of the worst songs Paul ever recorded. The problem i find with a lot of Pauls mid '80's stuff is as mentioned above, he went with current trends and sounds and ended up shoehorning himself into specific sounding music which usually resulted in dreadful lyrics, naff or boring production and cheesy backing vocals. Take It Away could be a great song but the backing vocals need to be mixed out along with the horns/sax or whatever it is. There is a bootleg out there called Return To Pepperland which features a number of tracks that were really good from that mid-80's time period, a small handful eventually finding official release on the Flaming Pie singles. Thats something Paul should put out. As far as the argument against going with current trends, I personally don't buy it. As long as the songs are actually good, that kind of thing usually doesn't matter to me. You could argue that The Beatles should never have gone with the "current trend" of psychedelic music, for instance, and should have stuck to the Please Please Me sound. I think it comes down to our own personal biases against certain sounds or genres....if Paul put out a rap album, I can say with certainty that I wouldn't buy it. Now I've heard Driving Rain , Run Devil Run and McCartney II . McCartney II ranks right up there with his best albums in my opinion. Driving Rain is not bad--I would say it's slightly better than Off The Ground or Memory Almost Full , but not as good as Chaos and Creation or Flaming Pie . Run Devil Run was enjoyable.